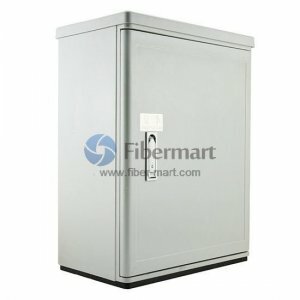 Distribution Cabinet provides a flexible fiber management system for transitioning outside plant cable to inside cable and connector assemblies. 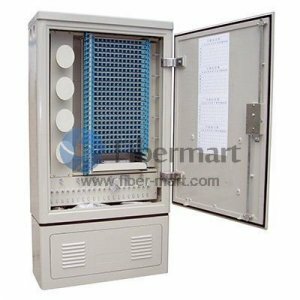 It is used for small capacity communication system, wall mounting, reasonable and compact structure, harmonized with machine room. 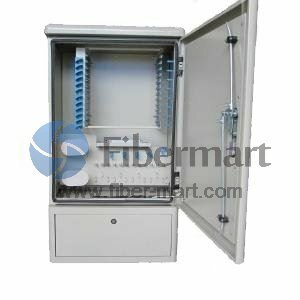 Fiber-Mart can manufacture the network cabinet, cross connect cabinet, open rack mount cabinet to meet your specific requirement. We provide 12 cores, 24 cores, 36 cores, 48 cores, etc. SC, FC, ST, LC, MTRJ adapters can be available to be installed in the cabinet.